Traveling the open road visiting prospective and new clients has reminded us why many of you chose the transportation industry. It's also reminded us why we decided to learn and help make the industry better. The details. The engines. The powerful machines. We remember growing up watching PBS videos on Big Trucks, Buses, Dump Trucks, and Fire Trucks. We’ve been listening to you tell us your stories, too. A look inside Bus #51. Miss Pat now drives a bus after spending nearly three decades driving an OTR truck. She says she prefers the slightly more laid back atmosphere and the company of the schoolchildren she takes to and from school every day for most of the year. “I couldn’t imagine myself doing anything else,” she says. It’s typically a joyful job, even when she has to be stern occasionally to ensure the safety and positive experience of the kids. She also says she wishes she had something like FleetRevolution’s DVIR app when she was driving a truck. According to her, the time savings alone is enough to justify switching from the paper cards. Better still, she has more time to read her books before she begins Route 51, as she likes to do. Stories like these inspire us to keep working each and every day to ensure we’re providing you the best tools to assist your bus fleet businesses. If you’d like to try the DVIR app, we’d love to talk. We’re confident it’ll make the process easier, more enjoyable, and save a lot of time too. Just to get you started, we’re offering a no-strings-attached, 100% free demo to prove its value. What Does the Bus Company of the Future Look Like? Bus travel is one of the most cost-effective, environmentally friendly, and safest ways to travel. Those three facts are one of the key drivers and value propositions that you explain to your customers every day. While many futurists are describing "the what," that is, predicting buses will be exclusively electric or driverless at some point in the future, not a lot of folks are focusing on "the how." We won't wake up one day surprised to find ourselves driving an electric vehicle fleet or managing an automated fleet. No, there's a lot of changes to be made, especially on the operations front. That's where you come in. We know the passenger transportation industry is slow to change. We know that by and large that's a good thing - the people-focused and people-driven nature of the industry is part of why it's so strong. We also know the industry isn't threatened by Uber-ization, as we talked about here. Electric Passenger Vehicles are incoming, but not as cost-effective as most companies can justify for the time being. A combination of increases in battery efficiency and federal tax credit funds seen alongside decreases in operating costs has to happen before widespread adoption. Once EV Buses are part of every fleet, the startup and operating costs will have fallen well below the costs associated with maintaining traditionally-fueled vehicles. Not only that, the speed of charging the vehicles and the mileage obtained from a full charge will have to increase dramatically to convince the rational fleet owner (that's you!) to upgrade the entire fleet. This may be a slow process, and that's okay! A lot of fleets are just now switching to cheaper and more efficient diesel-powered vehicles. Green power is coming and in some cases, it's already here, but there are many, small operational adjustments that will take place on the way to the future bus company talked about in electric and driverless terms. When the breakeven point arrives, you'll take action. What are some things we should expect to change over the next few years? How can we prepare for the future while getting the most out of our investments today? For one, adopting new, strategic methods that improve mobility and efficiency in operations and fleet management. The FMCSA intends for regulations to drive this sort of change. For example, pushing for trucks and Over the Road fleets to use ELDs was implemented with the intention of improving efficiency. Whether it's successful in doing so, only time will tell. One thing we know for sure: innovative fleet managers, visionary fleet owners, and motivated drivers will be leading the way forward, not government regulation. The fact remains, the technology available to fleets, in general, has never been more empowering, but never more confusing to sort through. Everyone is promising returns on investment, but do they really break the mold? Big marketing budgets take one-size-fits-all products and sell them to everyone with a wallet. Every sales pitch. Every marketing scheme. Crafted by people not in the trenches every day like you. How about a service built by and for the everyday folks running the business? From the manager to mechanics, it’s all here. Made just for you. You should be able to feel the organization and freedom to work without the costs and fatigue of dealing with piles of paperwork. Mobilize your bus fleet now for the future economy ahead. Get FleetRevolution. Free for 30 days. We're confident we can get you where you want to go. Let's build the future together. Today. You're the Fleet Manager. Maybe you're a Dispatcher. Perhaps you're both and responsible for managing and dispatching an entire bus fleet. Big or small, that’s a demanding task. The phone is ringing. There's a knock at your door. You want to respond to everyone and be there for your team — we get it! You're caught between ensuring your customers are getting the best service possible and making sure your drivers are in the know. Between passing out charter sheets, sending emails, and doing most (or all) of the planning and scheduling of vehicles and drivers, how are you staying on top of your responsibilities? What if there's a way to monitor all of the activity happening around your fleet? There is. Status of your vehicles? Check. Status of your drivers? Check. Automated record-keeping? You got it. You can ensure your team is aware and active in keeping your fleet in peak operating conditions. Your job is stressful enough with the day to day responsibilities. We know, because we’ve worked alongside folks just like you to make sure we’re meeting and exceeding your needs. Think of the Feed like it’s your fleet’s crystal ball. Don’t get lost clicking through tab after tab trying to find what you want to know. Need a report on an ongoing trip? Open the Feed. Want to check on the status of a bus while in the shop? Check the Feed. It’s all there and updated to the second. That’s the power of cloud computing technology. That’s the engine under the hood of FleetRevolution. Have the freedom to interact with your operation while mobile, keeping a watchful eye on the progress and activity of your bus fleet. It's time to experience a new type of freedom and control while on the job. Try FleetRevolution for free for 30 days. There's a surprising lack of innovation in a lot of routing and GPS technologies. You've probably noticed it too. Many "softwares" are behind the times and not using the cutting edge mapping abilities made possible by the hard work of TomTom and others who've been leading the way for decades. Why keep crucial routing features separate from the rest of your workflow? Efficient, agile routing is important to the planning and scheduling of drivers and buses. Your essential tools should be a part of the whole package. That's why FleetRevolution comes stock with the most powerful mobile routing capabilities on the market. Breeze through the interactive planning feature as you watch the route come to life in real-time. Impress your customers with the speed at which you deliver compelling and easy to understand trips of a lifetime. Complex school bus routes with 30 or more stops? No problem. Set it once and watch it perform throughout the entire school year. Weather and traffic conditions are always changing. That's why the route optimization feature consistently updates to keep your fleet on time and safe. Have a school bus fleet? You'll love the way you can make changes and see up to the minute results. Send your drivers out into the field with the best information. Easily share route info, updates, comments, and more with your fleet while ensuring the safety of your passengers. Our routing feature was built alongside a seasoned Dispatcher to guarantee she was saving hours of time and extracting the most value from the system. For once in your life, you can take your hands off the wheel. Logging and recording of trip data happens automatically and is saved as part of your records. All you have to do is enjoy the ride. Demo FleetRevolution: Bus Operator free for 30 days. We're confident you'll see the value for yourself. Should the Charter Bus Industry be On Demand? Will the charter bus industry face the threat of Uber-level disruption? The answer is likely not. Think of the types of customers who want that type of instant service. The truth is, there's not a lot of large groups with any idea where they want to go or the slightest idea of how to get there. That's where you come in by the way. Your customer experience team is pushing to provide the best travel experience possible. Your maintenance team is laboring to put the best looking and smoothest running fleet on the market. Your drivers require the most efficient routing and measures to keep themselves and your customers safe. Your owner/operator is forming the vision of the company's future while keeping a pulse on the activity and progress of the day-to-day business. And it's a competitive market. You demand to supply the best service while growing your bottom line. Streamline the flow of information. From planning the trips to maintaining the fleet, everything is connected and at your fingertips in a moment's notice. Teams can even be color coded into sales, route building, inspections, maintenance, and whatever organization your unique business requires. Instant messaging is built in to enhance your company communication like never before. The "Add Trip" feature is what other, cheesier SaaS software marketers might call the Trip Generator 9000 (TG9) or something else corny and bloated. We think it's an integral feature built in to save you time, money, and paperwork. No fluff. Adding a trip is like dropping a stone into a pond and seeing the effects ripple seamlessly and beautifully throughout the rest of the app. Your logging. Your planning. Done for you by a dedicated mobile platform, all on your own device. That's an impressively powerful computer in your pocket. Don't let the pessimists get you down. If a smartphone was really just for calling and messaging, we wouldn't have smartphones. There'd be no reason for them. Why not demand the most out of your tech? Check out the way your information is being displayed on the Calendar, your window into the schedule of your company. Go ahead, see where you stand. Have all of your info, all in one place. You've never had a booking and scheduling system like this. It's planning for the mobile fleet. Bottom line: the Uber app doesn't pose a threat to the Bus Industry. But there's an app revolutionizing the Bus Industry from the ground up. Organized for greatest efficiency and coordination between separate roles and features, there's really not another mobile software like it. Supply your entire team with the tools they need to drive your business. Engage your customers like never before. Try FleetRevolution today and see. We think you'll find the service valuable. Over time? An essential investment. What's wrong with using your iPhone or iPad to enhance your fleet management experience? Of course, a lot of folks don't like what they don't understand. You're thinking of ways to save time while increasing the bottom line. Safety, mobility, preventative maintenance. These are things we know you want to improve because they directly improve cost-savings and grow your revenue. Modern technology is underused in many industries, especially the transportation industry. A few big players have kept a monopoly on what good service can be provided to the hardworking men and women in the industry. For a long time, they were able to keep out the smaller players who charged a lot less for superior service. No hardware, no installation, no outdated technology. The industry is finally turning the page. Take Service Vehicle Fleets for example. They're seeing extraordinary results by using Fleetio, a fleet management service that keeps large fleets well-maintained and accounted for like ServPro and Stanley Steemer! Bus fleets are ready to take the next leap. Mobile software is revolutionizing industry in the same way laptops improved efficiency, mobility, and cut costs by no longer having to buy expensive, immovable desktop units. We've perfected the magic behind the scenes to let you do your jobs. For lower costs. Bottom line. We're so confident you'll see savings across the board while using our service that we don't ask you to join a contract. Any tool that provides value should be an investment. And an investment should pay dividends. FleetRevolution is an investment in the future of your bus company. An investment in the quality and upkeep of your assets. An investment in the safe and collaborative work environment you provide for your drivers. Download FleetRevolution today and let's start winning together. What Types of Fleets Should Use FleetRevolution? FleetRevolution is leading the way toward more efficient and modern bus fleets by using the latest technology. FleetRevolution serves many different types of bus and coach fleets. With the power to transform your fleet into a lean and efficient operation, it easily serves all passenger vehicle-based services like limousines too. Let's take a look at what types of fleets are getting the most out of FleetRevolution's Operator and DVIR mobile apps. Specially built and equipped buses for the transport of school children. Often painted "school bus yellow," these fleets are charged with running daily routes to serve school districts in educating our youth. 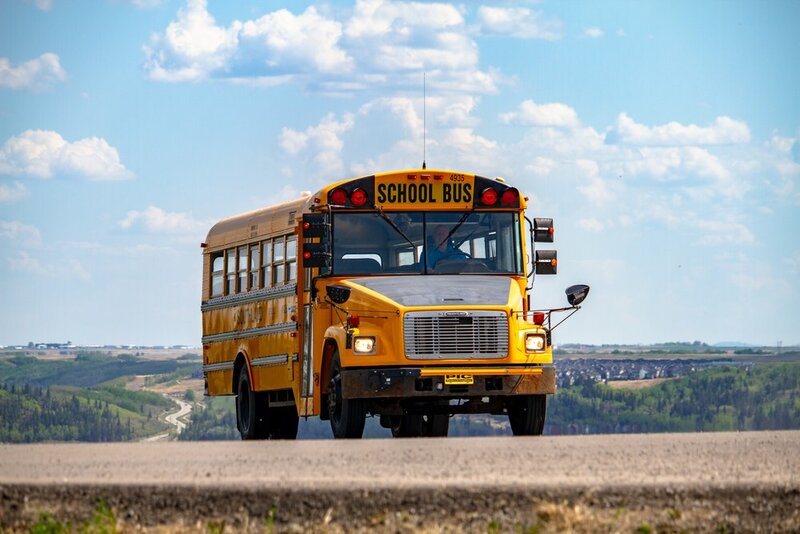 School bus fleets using FleetRevolution can expect to see huge time savings in routing, scheduling, inspecting, and maintaining their operation. This ensures that the bus is running on time and safely transporting our kids to and from school every day. Used typically for medium distance routes. These fleets are designed to take passengers on planned trips, whether for sightseeing or to take them to and from events. Other types of charter bus fleets perform such services as airport shuttling and scheduled service in areas with little to no public transportation options. These are top-of-the-line transportation machines built for comfortably carrying from just a few to many passengers wherever they want to go, in spectacular style. Coach Bus Fleets using FleetRevolution can expect to see increased productivity and savings in the booking, scheduling, and trip planning aspects of moving their clients. They can also expect to see automated inspection reporting processes and exceptional logs. Shuttle Buses are charged with safely transporting passengers from places like hotels, conference centers, and more to the airport or other terminals to efficiently move people without congestion and at a low cost. Sometimes, these can either be Mini-Buses or Transit Buses used for short exchanges. Tour Bus Fleets are essentially Coach Buses outfitted for the purpose of being chartered by various groups, organizations, church congregations, higher learning institutions, and corporations who want to visit amazing attractions. 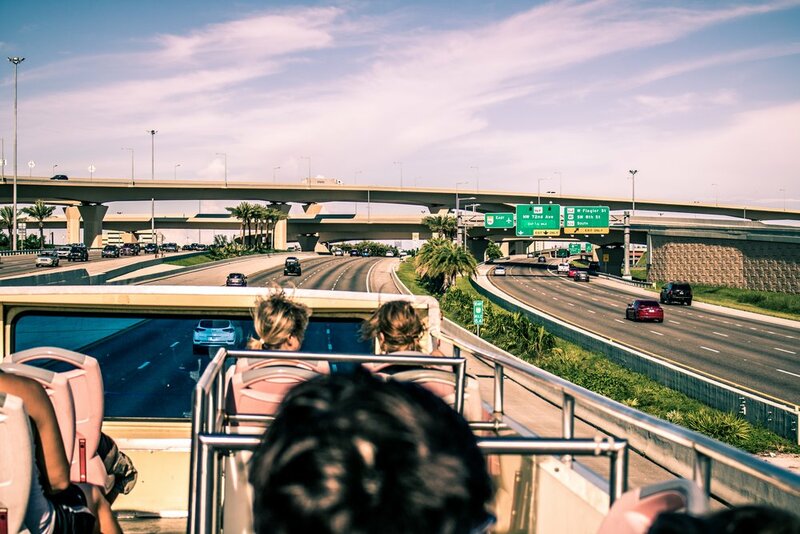 Sightseeing and adventuring can be done painlessly and with air conditioning aboard high-quality Tour Buses. Used primarily for public transport and moving large groups of passengers efficiently along a specified route with scheduled stops. These fleets are vital to the transport of many city dwellers, people that would prefer to save money on gas, and those that can't afford to commute themselves. FleetRevolution assists transit fleets by ensuring they're on time and running smoothly because of preventative maintenance. Hailed for their zero-emission capabilities and decreased maintenance costs, Electric Bus Fleets (sometimes called EV Buses) are proving economically beneficial and increasingly cost-effective. Charge lengths are going up and the technology is making leaps and bounds at an incredible rate. Expect Electric Buses to start popping up more and more over the next several years. Sometimes called Autonomous Vehicles, these buses are being tested by a few companies hoping to automate the public transit system mainly. Still several years from being implemented and even longer before they become feasible in investment cost, driverless buses are an interesting possibility for the future. FleetRevolution is focused on maximizing its use and service for human-driven fleets by providing the most advanced mobile platform to complete the associated day-to-day tasks. We'll always be a step ahead in providing scheduling, planning, and logging software so we'll be here working with you every step of the way. More common than many realize, mixed-vehicle fleets are able to serve almost every large and small passenger request. A lot of bus companies maintain combinations like a few coach buses, several school buses, some shuttle buses, and even a tour bus! By diversifying their assets, these companies provide flexible services to their customers at competitive rates. They also allow their drivers to enjoy different types of trips, from route-based trips to long-distance Over the Road excursions. FleetRevolution is leading the way in providing administrative and field service for mixed bus fleets as we've prepared for nearly everything. Settings are customized to your exact vehicle specifications from the moment you enter the VIN number. 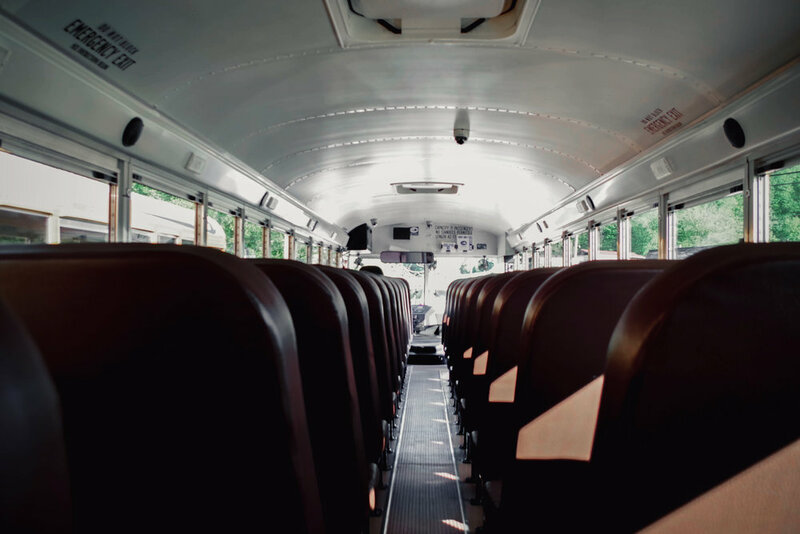 We've made it easy to distinguish between and provide specialized maintenance for school buses and coach buses alike. Bottom line: if you drive a bus fleet, FleetRevolution will enhance your business. Get a free trial with no strings attached. See for yourself the efficiencies and cost-savings that we guarantee.